ONE FREE CUP FOR YOU. ONE FOR A FRIEND. 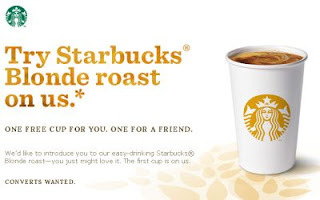 We’d like to introduce you to our easy-drinking Starbucks® Blonde roast—you just might love it. The first cup is on us.